We were invited to the White House on 28th of February, 2019 to present Lyme Tracker – a digital tool we built for The Opportunity Project (TOP) Health sprint – to aid Lyme disease research and management by providing people an app to track their Lyme disease symptoms easily. TOP Health” Tech Sprint, the first-ever pilot of a 14-week tech sprint is organized by the U.S. Department of Health and Human Services (HHS) Office of the Chief Technology Officer (CTO) and Presidential Innovation Fellows (PIF) as an effort to strengthen collaborations between technologists, experts, and community leaders to address real-world challenges for public benefit. The HHS invited teams to deliver entries in 2 categories – each challenge designed to develop digital tools based on emerging technologies like Artificial Intelligence and using federal data. We developed the Lyme Tracker in association with Global Lyme Alliance as part of the TOP challenge where teams were asked to deliver a data driven digital tool for public benefit developed by harnessing the power of collaboration, citizen science, and data for Lyme disease. Lyme disease is a tick-borne illness mostly affecting people who engage in outdoor activities like trekking, camping etc. It manifests initially as skin rash and flu-like illness but can spread to bones, joints, heart and nervous system. CDC estimates that 300,000 – 427,000 new cases are found in US per year. Tracking Lyme disease symptoms is critical for people living with Lyme Disease as patients and physicians rely on this data to understand disease progression and manage individual symptoms. The Lyme Tracker made by TrialX in association with Global Lyme Alliance (GLA) will help people track daily symptoms of Lyme Disease, helping users and their doctors manage the disease more efficiently and provide ongoing data to further advance clinical research in this space. A study conducted by MyLymeData found that over 47% of patients live with Lyme disease for ten or more years; 21% for more than six years; and 27% for more than two years. These patients sometimes track their symptoms in journals or Excel sheets (if they are tech savvy) and keep visiting their physician to try different treatments and lifestyle changes. Physicians treat based on self-reported symptoms from patients but are handicapped in quality and quantity of data they have to work with. Patients report symptoms only during appointments, typically every 3-6 months, usually recalling from memory or cumbersome tracking methods if they do so. Interpreting this data is cumbersome and error prone leading doctors to take a trial-and-error approach to treatment. Red expanding skin rash, severe headache, neck stiffness, lightheadedness, flu like symptoms, fainting / dizziness, shortness breath, chest pain / heart palpitations, pain and swelling in large joints that may interfere with sleep are common symptoms seen in people with Lyme disease. 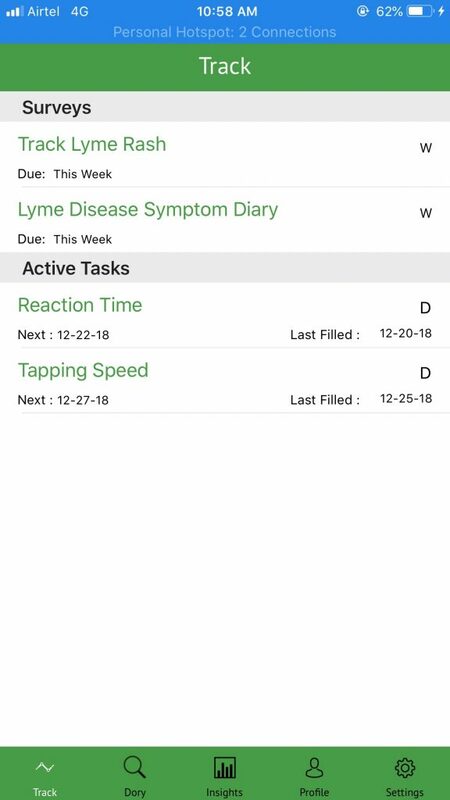 The Lyme Tracker app will collect data via daily and weekly surveys asking questions about these symptoms. 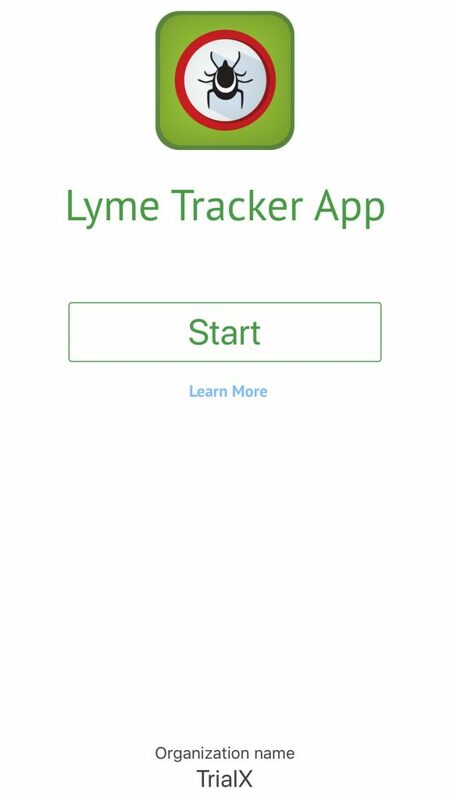 All people who suspect that they have Lyme Disease or have been diagnosed with Lyme Disease are eligible to use the Lyme Tracker app for tracking symptoms. Since fatigue and tiredness are common symptoms of Lyme disease, the app will ask the participants to complete “active tasks” via their mobile phones that will measure their reaction time and tapping speed. Tapping Speed Active Task – In this task, the user rapidly alternates between tapping two targets on the touch screen. The resulting touch data can be used to assess basic motor capabilities such as speed, accuracy, and rhythm. Reaction Time Active Task – In the reaction time task, the user shakes the device in response to a visual clue on the device’s screen. The task finishes when the user successfully completes all the attempts as instructed in the task. This task is used to evaluate a user’s response to the stimulus and calculate their reaction time. 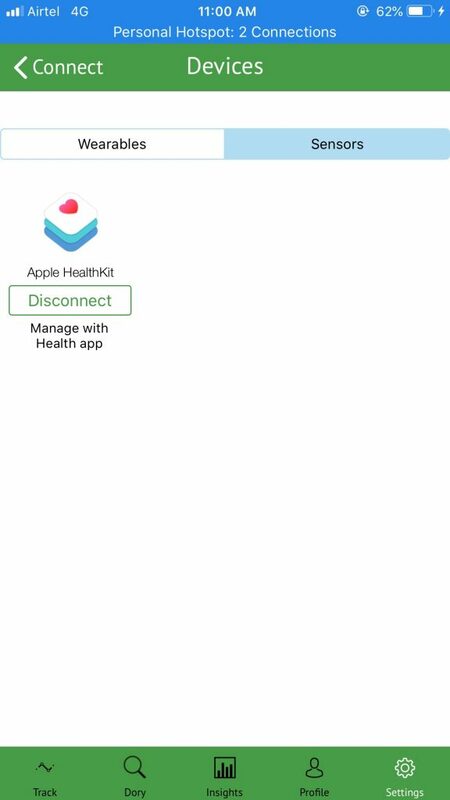 Users can integrate their apps with sensors and wearables like AppleHealthkit or Fitbit that will record data like distance covered and steps walked in a day along with various health parameters. 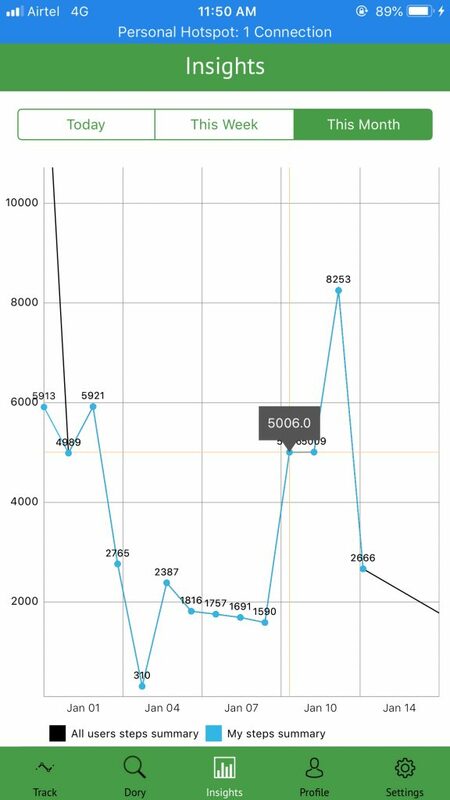 This data will be graphically represented under ‘Insights’ tab on the app. 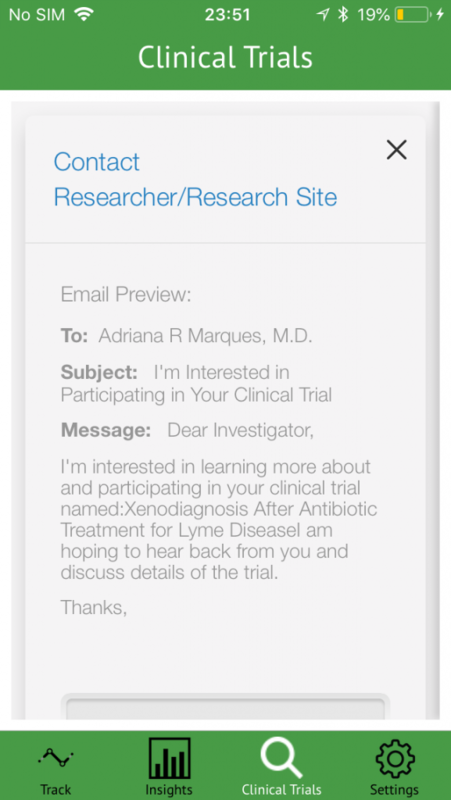 Users can also find lyme disease clinical trials using the Lyme Tracker via iConnect trial finder provided within the app. The app will keep users engaged by sending daily and weekly survey notifications, reminding them to complete their active tasks and fill up their Lyme disease symptom diary. All data will be handled with utmost security in compliance with data protection policies and all participants can withdraw from study at any time they want. With Lyme Tracker, team TrialX hopes to help Lyme disease patients as well as clinical investigators in the field to advance research and improve the diagnosis and management of Lyme disease.